BRIGHTON, Mich.- Feeling lucky? You may just find the pot of gold at the end of the rainbow this weekend. St. Patrick's Day is this Sunday, March 17, 2013! The one day we can all pretend to be Irish and wear everything green in our closet! If you're not excited yet, these fun DIY St. Patrick's Day Ideas are sure to boost your interest; if not just give you an excuse to make some tasty treats! So join your Fenton Area Ford Dealer, and get in the St. Patty's Day spirit! I don't know about you, but I don't know anyone who doesn't like puppy chow or thin mints. Combine the two together and it's a match made in heaven! 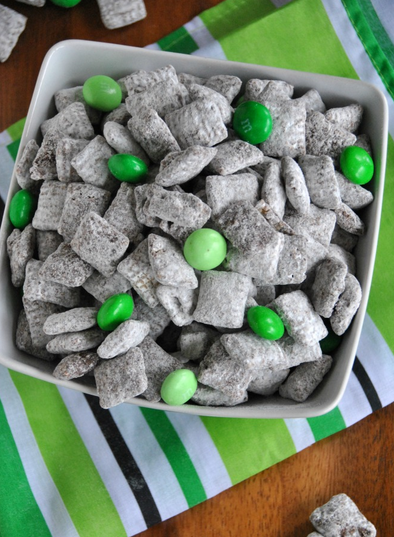 This Thin Mint Puppy Chow is a great option for your St. Patrick's Day celebration, or even just to snack on throughout the weekend! Not to mention, this DIY St. Patty's Day Idea is super simple, so there's no reason not to try it! Another guilty pleasure that's hard to resist, Oreos. So why not make those festive for the holiday this weekend too. Again, this St. Patrick's Day treat doesn't get any easier! All you have to do is dip some Mint Oreos in melted chocolate bark and add sprinkles for some green! You could even add these to you kid's lunches this week to spice things up! If you're not much of a sweets person, we've got options for you too! 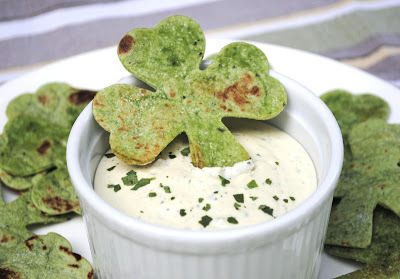 How about some festive Shamrock Chips to go with your favorite dip? This DIY St. Patrick's Day Treat Idea is extremely easy as well! Just use a cookie cutter to cut shamrock shapes out of a spinach tortilla, spray with cooking oil, sprinkle with salt and bake for not even 10 minutes! These Shamrock Chips are a great alternative to regular chips too, BONUS! With our last DIY St. Patricks Day Idea, you can get in the St. Patty's Day spirit with your dinner. 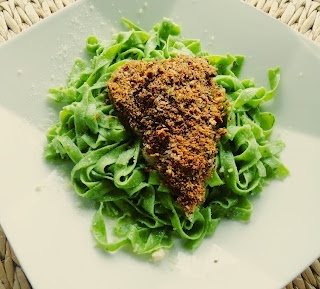 Turn your pasta green just by adding some green food coloring to the water before you cook your pasta! The kids are sure to love this one, and you don't even have to go out of your way to make anything extra for the holiday! St. Patrick's Day is this weekend which also means that Spring is right around the corner! If you need a new vehicle this season, check out our 2013 Ford Focus Brochure or 2013 Ford F-150 Brochure! Or come on in, we'd be happy to help you find the perfect vehicle for your needs! Brighton Ford is located at 8240 Grand River Ave. just north of I-96 in Brighton. We are a family owned and operated business that strives on customer satisfaction. For more information on Brighton Ford visit BrightonFord.com or give us a call at (800)-836-8206.